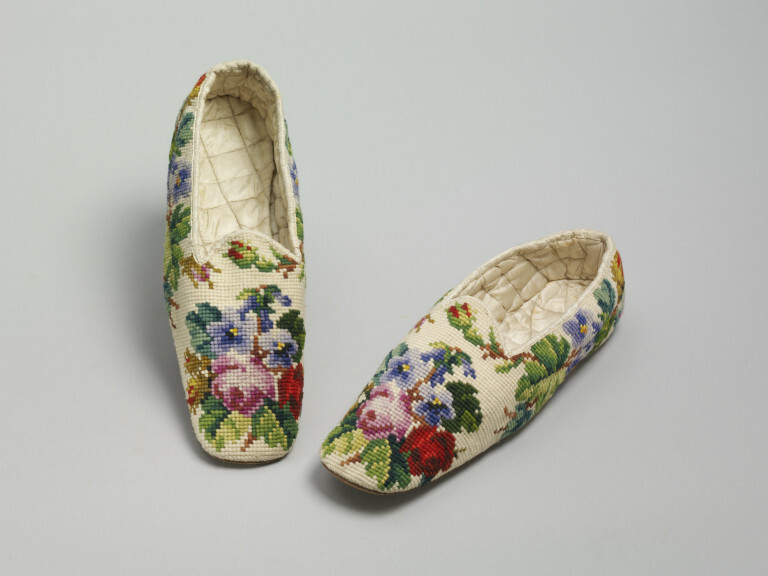 Pair of shoes of embroidered canvas in coloured wools in Berlin woolwork. With a floral design of red and pink roses and violets on a white ground. 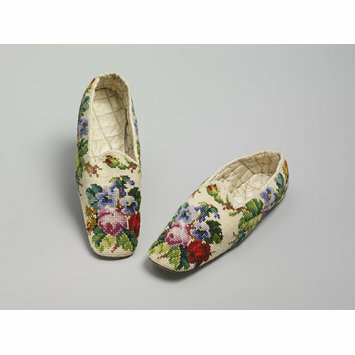 A spray of full blown flowers is embroidered on the toe, and around the heel is a garland of rose-buds and violets. Bound with satin ribbon and the inner sole is lined with quilted satin. Rounded square toe and a high cut slightly tongued upper.